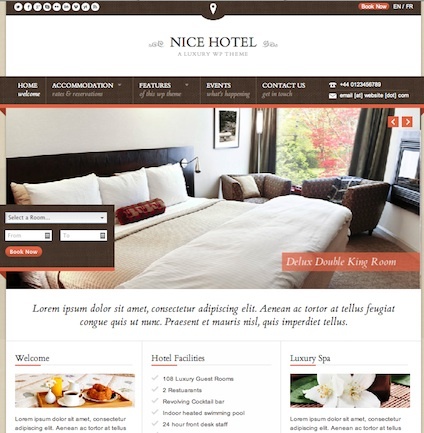 Create a Hotel Website with Wordpress and Wordpress Theme – Nice Hotel. This Wordpress Theme will transform your WordPress website into online Luxury Hotel Booking Website. You can also use this Hotel Wordpress Theme to create a site for a Ski Resort, Motel Website, Inn Website, Vacation Rental Website, Spa Website, or any other website that requires online booking. Nice Hotel Wordpress Theme is fully responsive, scrolling featured images, Event Manager, Gallery and more. Click here to see more features of Nice Hotel. 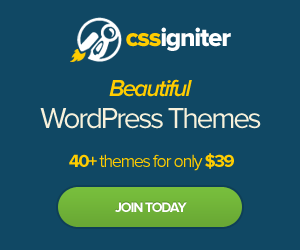 This is a great modern Hotel WordPress Theme. I love the scrolling featured image on the front page and the call to action buttons to ‘Book Now’. It’s also great that this Hotel WordPress Theme has an Event Manager so you can post upcoming events happening in and around the area where your hotel is located. You can play around with the responsive design by resizing the window. You will see that the content will wrap to the window size. All these features and more make this a great WordPress Theme to create your Hotel Website. How do I add a captcha field to the Nice Hotel contact form?